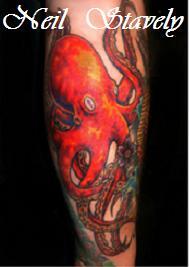 Jason McCarty began his official tattoo apprenticeship under his father; tattoo artist Tom Painter at a young age and since then has never stopped pushing tattoo ink. 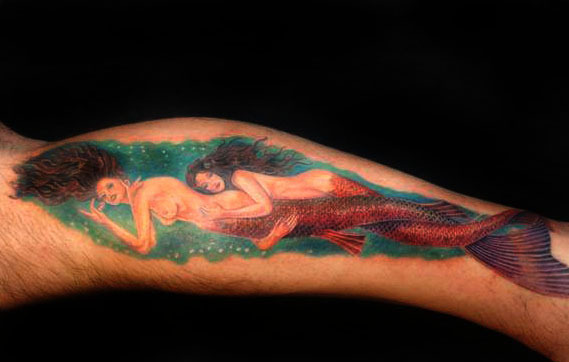 Growing up with the influence and love of art from both his father and mother, Jason studied various art mediums and styles with the intent of becoming an art teacher. 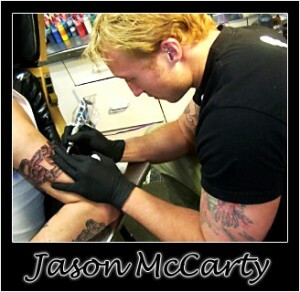 Once Jason McCarty picked up a tattoo machine, all of that changed. 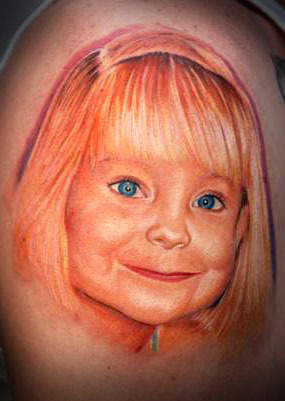 As a kid Jason would attend tattoo conventions and help run the booth or schedule tattoo appointments. 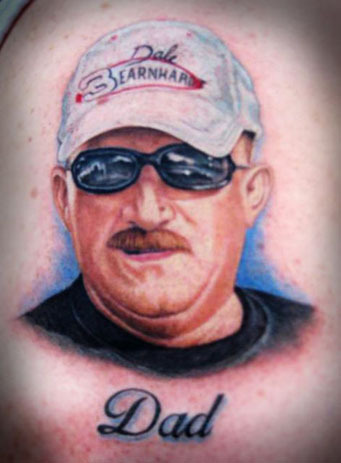 This gave him the perfect opportunity to watch some of the other legends in the tattoo industry and the new breakthrough tattoo artists work. 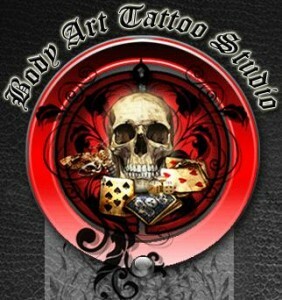 He was able to get an inside view that many new tattoo artists today or yesterday never had starting out. 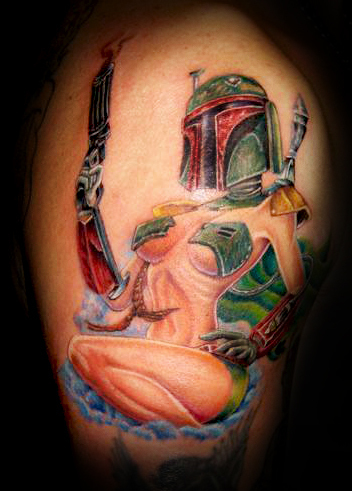 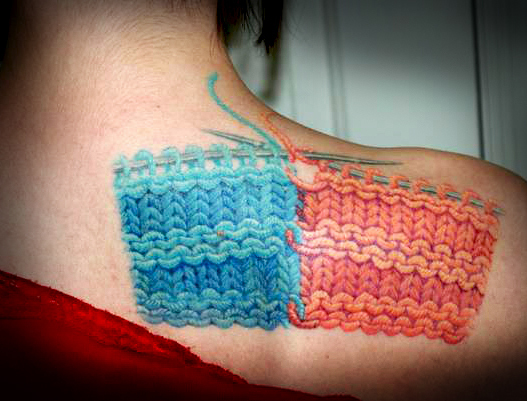 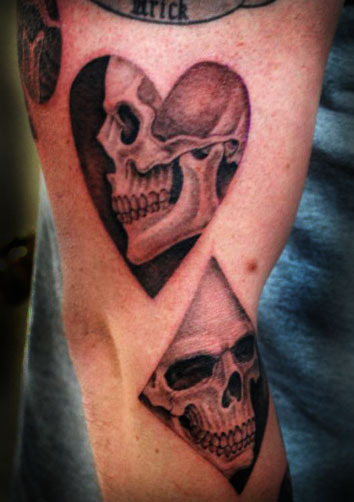 This shaped Jason’s views on tattooing and left a lasting impression that could be seen in his work from the start. 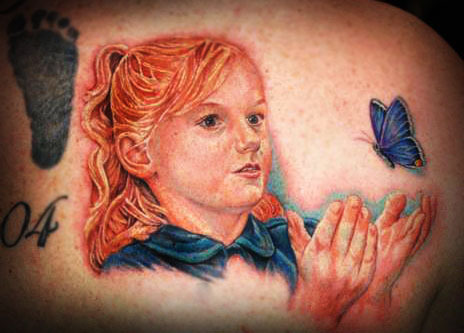 It is easy to see that Jason puts his heart and soul into every tattoo he creates from a custom portrait tattoo to a flash design straight from the wall. 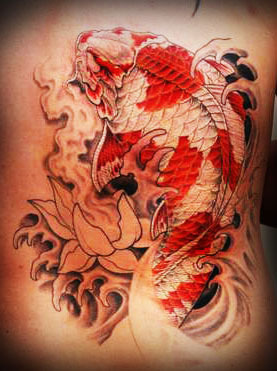 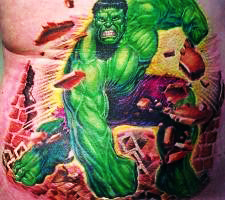 Today, Jason is known not only as one of the DC area’s premier tattoo artists, but he is also an internationally recognized award winning tattoo artist. 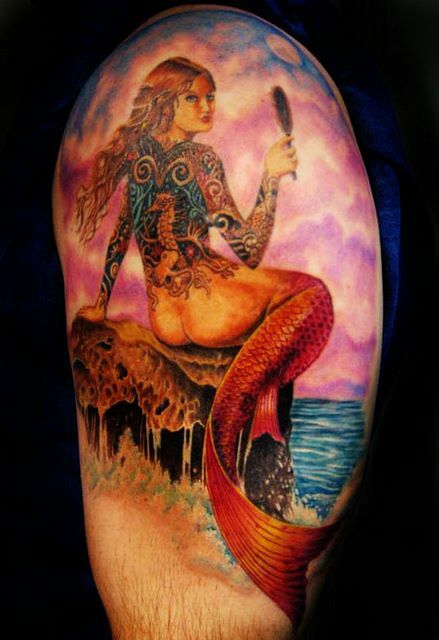 Having won many awards at some of the biggest tattoo conventions in the industry is proof that his love for art and years of dedication has paid off. 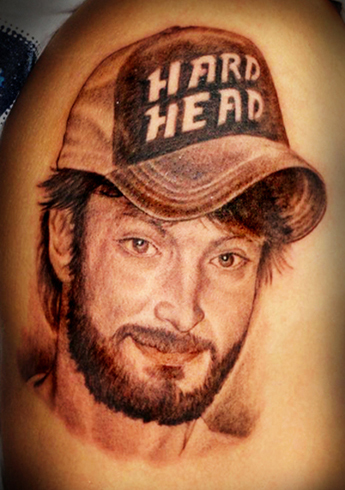 The success of taking home some of the most prized awards in the tattoo world have earned Jason McCarty the respect of many of the legendary tattoo artists he grew up watching as a kid. 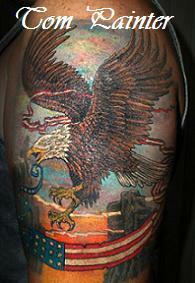 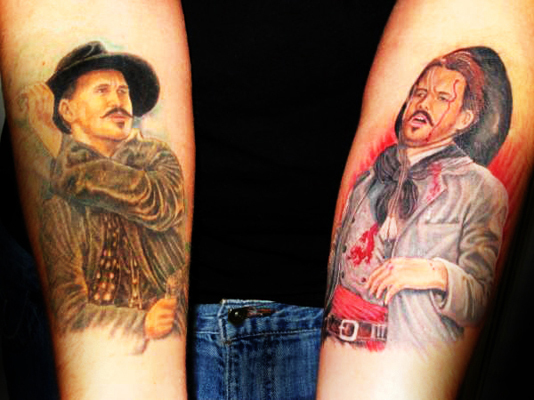 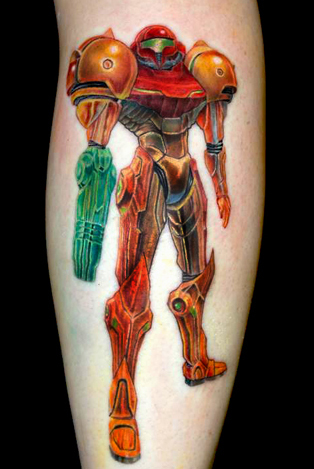 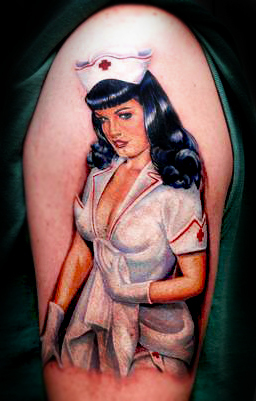 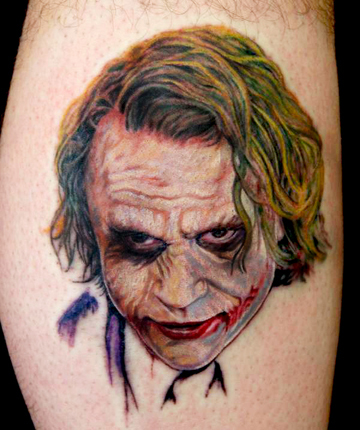 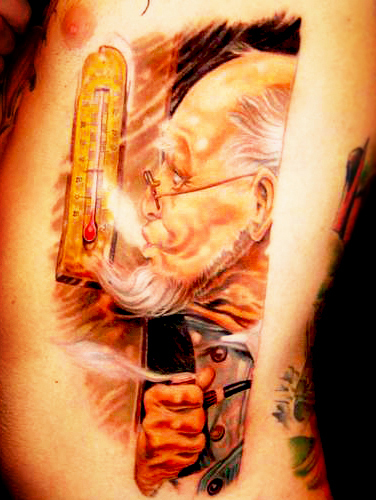 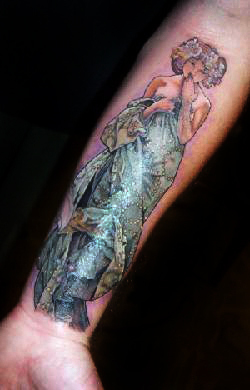 Jason’s work has been featured in several national and international tattoo publications and videos. 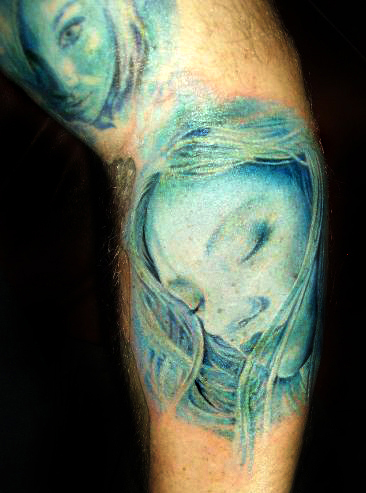 His portfolio includes nearly every style you can imagine, but his specialty is custom portraits and photo realistic designs. 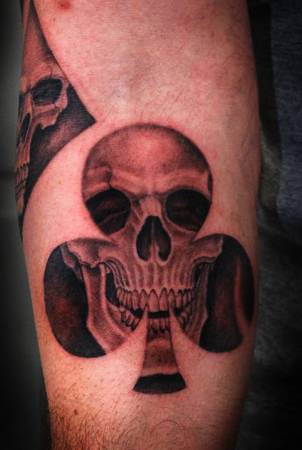 Once you see Jason’s work you can see why many of his clients travel from all around the US and beyond to get a tattoo appointment.